If you have seen the movie “your name” (Kimi no na wa / 君の名は), you surely noticed the beautiful drawing of Tokyo. 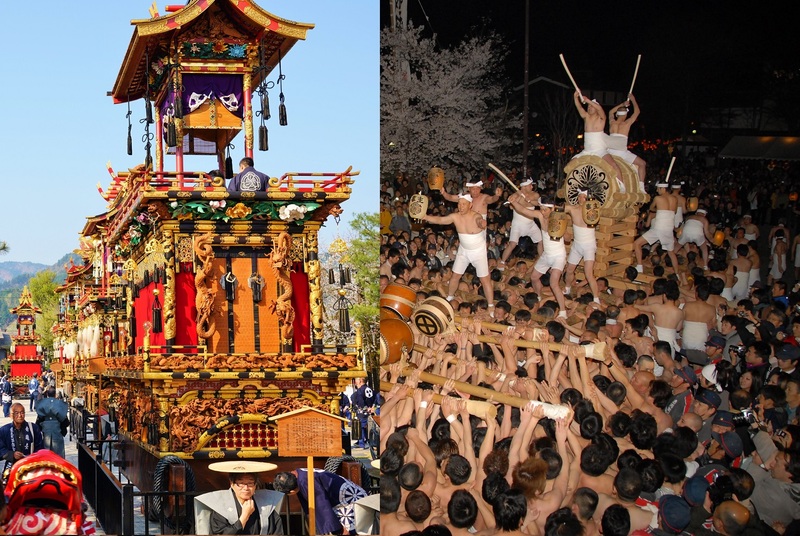 Did you know that a little town in Gifu Prefecture has also inspired the countryside that we can see in the animated movie ? Its name is Furukawa, a quiet and charming town where you can stroll while enjoying recognize the places that have been drawing by the movie director, Makoto Shinkai. 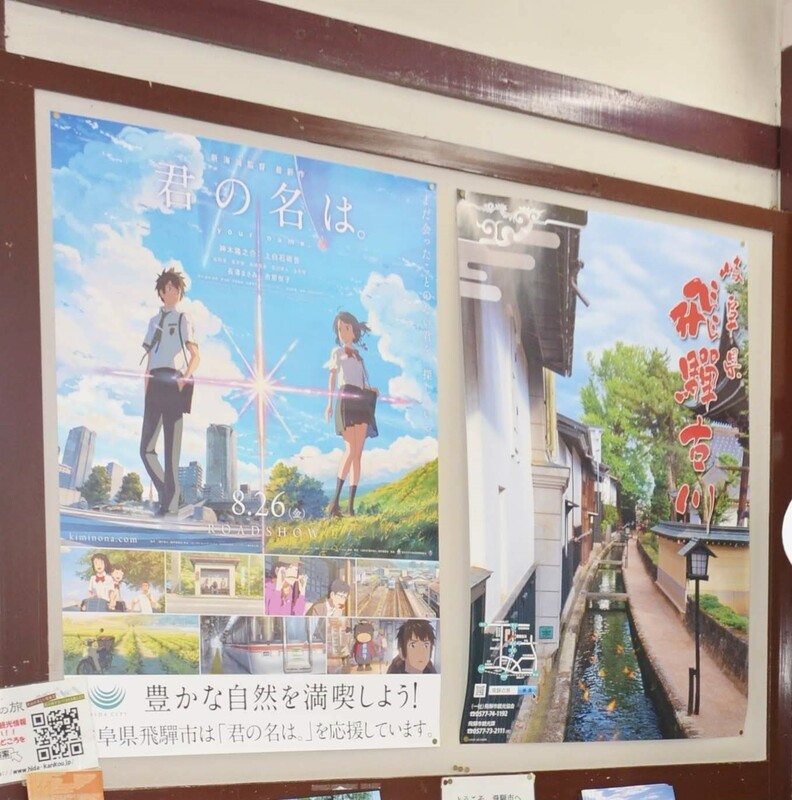 As soon as you arrive, you will be already immersed into the heart of the movie, like you were in the imaginary town of Itomori, the station being exactly the same as Furukawa Station. Indeed, this station is the one where Taki, the main character, arriving from Tokyo, is searching the town where Mitsuha live. You will be as you were Mitsuha, living in this village surrounded by the greenery of Japanese countryside. 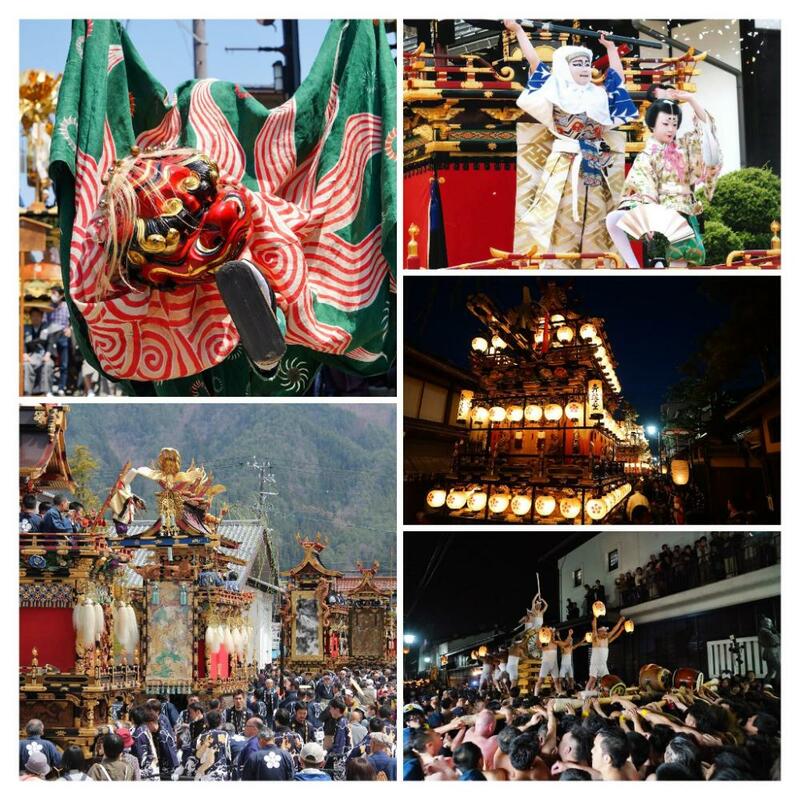 You can also see in the region of Hida, where Furukawa is, the same temple that the one in the film called “Miyamizu”. 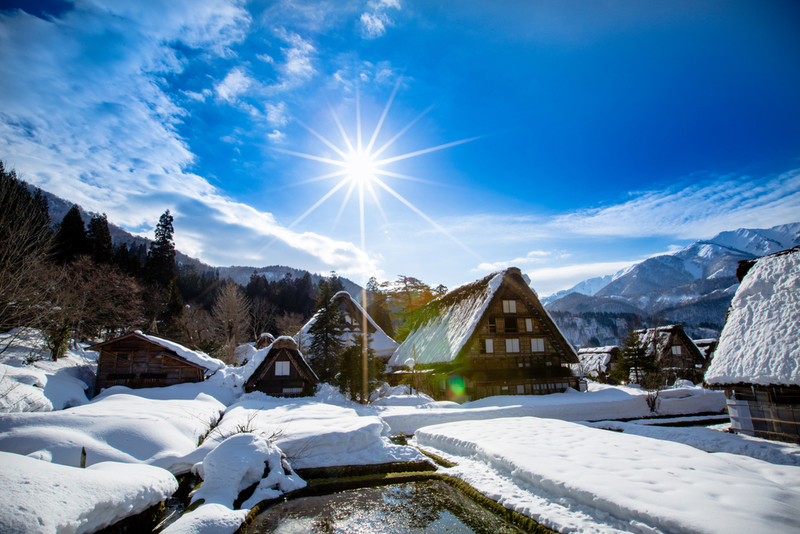 Even if you don’t know “Your name”, the landscape that Furukawa offers definitely worth a visit. In addition to the sceneries, there is the library and even the same place where Taki seats. Moreover, if you travel about 15 minutes by train from Furukawa to Tsunogawa, you will have the chance to see exactly the same bus stop than the one of Itomori (Miyagawa Ochiai bus Stop), that certainly became the most famous in entire Japan although it is not used today. In Furukawa,there is a great sake brewery and it is possible to buy a bottle with the same design that the one in the movie, so you can afford an original souvenir to bring back. 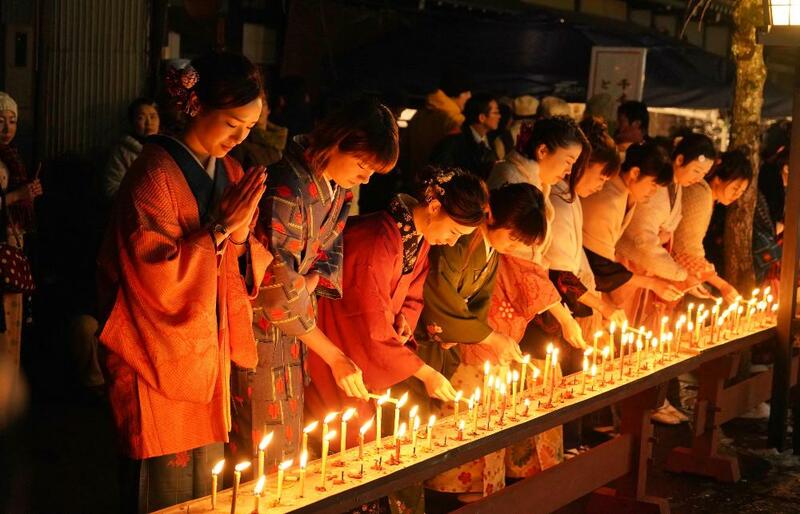 Lastly, if you decide to go to Furukawa in Winter, you could admire the beauty of the festival named San Tera Mairi, with hundred of candles lighted near the canal and women dressed with kimono. It will surely remember you the traditional feast you had the pleasure to see in the movie.